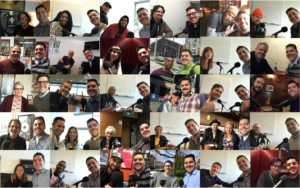 Seattle Growth Podcast host Jeff Shulman set across the city interviewing established and emerging musicians, music lovers, and music industry leaders to learn more about the past, present, and future of Seattle music. In this season finale, voices from this season share why music is embedded in Seattle’s DNA, give insight into the soul of the not just the music scene but the city as a whole, and offer perspectives on what needs to be done to hold on to the rich cultural resource. Dave B. Dave B performed in front of a sold out Key Arena and with Macklemore on The Tonight Show. Andre Brown Brown is a recent graduate of the University of Washington’s School of Drama. Matt Bishop Bishop founded the popular indie folk and chamber pop band Hey Marseilles. Marco Collins Collins is the subject of the documentary The Glamour and the Squalor because of his rich contributions to the national music scene through his work as a Seattle radio personality. Draze Draze is a hip-hop emcee and musician born in Seattle. His hit song “The Hood Ain’t The Same” focused on the changes Seattle residents are seeing. Chris Early Early was the founding bassist for Band of Horses. Jason Finn Finn is the drummer for the platinum-selling, grammy-nominated band Presidents of the United States of America. Kate Voss and Jason Goessl. The married duo Sundae and Mr. Goessl recently released their 5th studio album, “When You’re Smiling”, which is available on all platforms including their website. DeVon Manier Manier founded Sportn’ Life Records and was an inaugural member of the Seattle Music Commission. Manier’s Sportn’ Life Music Group currently manages The Black Tones who will perform at the Capitol Hill Block Party on July 20th and at City Hall Plaza on July 26th as part of the Downtown Summer Sounds series. Celene Ramadan Ramadan is a a Seattle musician who has performed as Leeni, Prom Queen and Snax the Bunny. Lydia Ramsey Ramsey is an Americana folk singer-songwriter who will be performing a free concert on July 19th in Volunteer Park. Curtis Romjue Romjue is the founder of First Aid Arts, which provides arts-based tools and training for a world where wounded hearts heal beautifully. Steven Severin Severin is active in the Seattle’s nightlife and entertainment scene, owning Neumos, Wake Up Productions, Barboza, and The Runaway. Severin is passionate about the midterm elections and encourages everyone to register to vote and then vote. Brent Stiefel Stiefel, Foster School of Business MBA ‘06, is co-founder of Onto Entertainment, which manages the platinum-selling band The Lumineers. He is also the CEO of Votiv Inc.
Dustin Vance Vance is a recent arrival to Seattle who has instantly found opportunities to share his musical talents with listeners. His band Fond Farewell will be performing at Tim’s Tavern on August 11th. Naomi Wachira Wachira is an Afro-Folk singer songwriter. Levi and Stephanie Ware Through their work streaming live concerts to children in hospitals with Melodic Caring Project, they have continually witnessed the incredible power that music and intentional compassion has to profoundly impact the emotional, physical and mental health of kids battling serious and/or chronic illness. Joy and hope are powerful medicine and they’ve seen music provide both. Tekla Waterfield Waterfield recently received a “Listen Up! Women in Music” grant for songwriting from the Allied Arts Foundation and will be performing at Chihuly Garden and Glass on August 9th and in the 5th annual Seattle Acoustic Festival on August 25th. Hollis Wong-Wear Wong-Wear is a Grammy-nominated artist known for her collaboration with Macklemore on the hit song White Walls and her work with the group The Flavr Blue. Did you that know nine of the seventeen new musicals produced in Executive Producer David Armstrong’s tenure at Seattle’s 5th Avenue Theatre went from this Seattle stage to Broadway and that two of them won the Tony award for Best Musical? As the fourth season of Seattle Growth Podcast examines the past, present, and future of the Seattle music scene, the city’s vibrant musical theater scene merits attention. David Armstrong, who has served as the Executive Producer and Artistic Director for 5th Avenue Theatre for almost two decades describes how the city is getting national recognition for musical theater. Armstrong shares how the city is both producing and drawing in top flight musical theater talent. Armstrong also gives unique insight into how the city’s growth is affecting the business of the storied theater. Two of the talented actors who were drawn to be a part of Seattle’s musical theater community open up about their transition to the city. Porscha Shaw, who was named by KUOW as one of the Seattle artists you should know about, tells the story of how she has begun her ride to prominence. Andre Brown shares what is happening in Seattle that facilitates the creation of art across various mediums. Both give further insight into the soul of the Seattle music scene. This episode gives an inside look at a musical theater community that serves as a key aspect of Seattle’s vibrant art and culture. Today’s episode gives rare insight into the economics and emotional journey associated with becoming a professional musician in Seattle. With money and people moving into the city, this episode focuses on some of the musicians the city stands to lose as economics of a recording artists change. You will hear the voice of a musician who has moved away from the city, two musicians who anticipate moving soon, and a musician whose successful band has gone on hiatus. 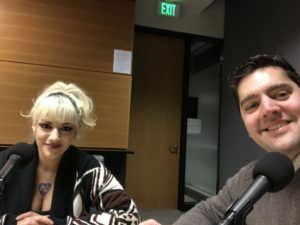 The episode gives further perspective on the soul of Seattle’s music scene and how the community is evolving as the city transforms. Naomi Wachira who was once named Seattle’s best folk singer by Seattle Weekly. Matt Bishop who explains why his popular band Hey Marseilles recently went on hiatus. Kate Voss who was named Best Jazz Act of 2017 by Seattle Weekly and NW Jazz Vocalist of the Year by Earshot. Jason Goessl who performs in several bands including Sundae and Mr. Goessl with his wife Kate Voss. The episode also features the songs Makes My Heart Sway by Sundae and Mr. Goessl and Beautifully Human by Naomi Wachira. In this episode, you will learn how these artists attracted their followings, how they made a living, and how the booming economy affects the paychecks of local performing artists. Ben London, singer-songwriter and former executive at the Grammys. S4 Ep. 5: Is Growth Killing Seattle’s Musical Spirit? Money and people are moving into Seattle at an unprecedented rate. The city is clearly undergoing a physical transformation as a nation-leading number of cranes dot the sky. Is there a cultural transformation underway as well? Has the music scene that grabbed the nation’s attention during the 1990s grunge era maintained its identity? Three voices in today’s Seattle music scene share their perspective on the culture of Seattle music and how it is changing in recent years. Austin Santiago, owner of BuildStrong Music Group which has been curating concerts and music culture in Cascadia since 2005 and Vice President at Do206, a website dedicated to highlighting live events in the area. Lydia Ramsey, an Americana singer-songwriter and talent buyer at the Seattle music venue Triple Door. The voices give insight into the current identity and trajectory of Seattle’s music scene. For comparison, the episode also includes quotes from previous guests including legendary Seattle radio personality Marco Collins, former Grammy executive Ben London, and platinum selling band member Jason Finn. 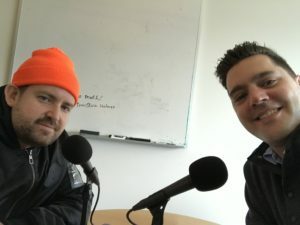 This episode gives unique insight into the process of becoming a musician in Seattle. It provides a window into the evolving culture of the city that spans beyond music and it gives you a chance to meet some of the talented artists in Seattle. Featuring the song Show Me The Stars by Lydia Ramsey and the song Vengeance (Will Be Mine) by Prom Queen. Today’s episode gives you a rare inside look at the journey a Seattle hip-hop artist takes in the ride to prominence. The two guests also put to words the range of emotions many people are feeling as the city of Seattle undergoes a rapid transformation. Draze, who has opened for Snoop Dogg and had his music appear on hit shows such as Empire, shares how Seattle’s transformation has affected his music and him personally. You will also hear from Dave B, who collaborated with Macklemore on the hit song Corner Store, performed in front of a sold-out Key Arena, was seen on national tv performing on Jimmy Fallon’s Tonight Show, and recently headlined his own sold-out show at Seattle’s Neptune Theater. Featuring the songs “The Hood Ain’t the Same” by Draze and “Sweetest Thing” by Dave B. 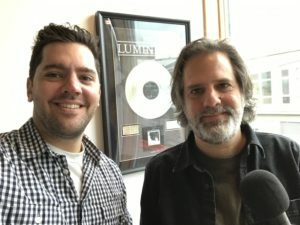 This episode of Seattle Growth Podcast continues its brief look at Seattle’s rich musical history. In today’s episode, Janie Hendrix (CEO of Experience Hendrix) shares how the city’s growth has affected her efforts to honor the legacy of Seattle-born rock and roll legend Jimi Hendrix. You will learn more about the continued impact Jimi Hendrix has on Seattle today. The episode also features an interview with inaugural Seattle Music Commissioner DeVon Manier. Manier is cofounder of Sportn’ Life Music Group and works with Seattle artists such as the Black Tones and Future Shock. He shares stories from his time developing hip-hop artists at the turn of the century and what drove him to participate in the Seattle Music Commission. The interviews give listeners a glimpse into Seattle’s musical past and provides insight into what the future holds for our growing city. With appearances by Marco Collins, Ben London, Jason Finn, Draze, and Dave B. Featuring the song”Woman in Black” by The Blacktones. 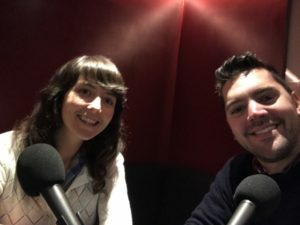 The fourth season of Seattle Growth Podcast brings together diverse perspectives from established and emerging artists, music lovers and music industry leaders to paint a picture of the past, present, and future of Seattle’s iconic music scene. This second episode of the season continues last week’s focus on Seattle’s music community during the 1990s. Whereas Seattle had produced many notable musical artists in prior years, the sounds from the 1990s were distinctly recognized across the globe as emanating from this city. The episode also features Marco Collins, an influential radio DJ during the early 1990s who record executives from around the world turned to for insight into who would be the next big thing in music.The subject of his own documentary “The Glamour and the Squalor” opens up about what it was like to rub shoulders with Seattle’s rock stars, to help catapult bands to national prominence, and to have the whole world watching what was coming out of Seattle. These two voices help paint a picture of a unique time in Seattle’s music history and provide insight into the city’s future. “At this city, we’re at this incredible inflection point,” Seattle City Councilmember Rob Johnson told Jeff Shulman in the first episode of Seattle Growth Podcast in 2016. Fast-forward almost two years later and the “unprecedented growth” continues and Seattle Growth Podcast has become a well-known source for perspective on the transformation underway. This season of Seattle Growth Podcast paints a picture of the past, present, and future of Seattle’s music scene. To understand where Seattle is going, it is important to know where it has been. You will hear from people who have played key roles in shaping Seattle’s identity. Whereas Seattle had produced many notable musical artists in prior years, the sounds from the 1990s were distinctly recognized across the globe as emanating from this city. With Nirvana, Pearl Jam, Soundgarden, Presidents of the United States of America, Alice in Chains, and the Foo Fighters, Seattle was a powerful force in influencing popular culture and music. The industry and fans took notice. For example, 3 of the 5 nominees for best alternative music performance at the 38th annual Grammy Awards held in 1996 hailed from Seattle. Today’s episode features one of these nominees, the drummer for the Presidents of the United States of America, Jason Finn. What was it like to be a Seattle musician in this era where one could be catapulted from playing Seattle’s Romper Room to selling millions of records? What was happening in Seattle that enabled local bands to take the national leap? You’ll hear Jason Finn’s perspective on these questions and more. You’ll also hear the fan perspective from Daryl Ducharme, a music lover who worked at Guitar Center during the decade. The interviews will paint a vivid picture of a unique moment in Seattle’s history that will also give insight into our future. With musical intros performed by Naomi Wachira, Draze, and Porscha Shaw. The arena wars are not over as two groups vie to reshape Seattle’s music scene, Seattle Center, and the future of winter professional sports in Seattle. In this special episode, find out why 33 members of Seattle’s music community weighed in on the arena debate to support one of the two proposals. You will hear from Jason Finn, drummer for the platinum-selling, grammy-nominated band Presidents of the United States. You will hear from David Meinert, whose Onto Entertainment manages the platinum selling musicians, The Lumineers. Today’s episode gives you a better understanding about how Seattle’s music scene can be shaped by the arena proposals.